Do you know what we have here on the Cape? 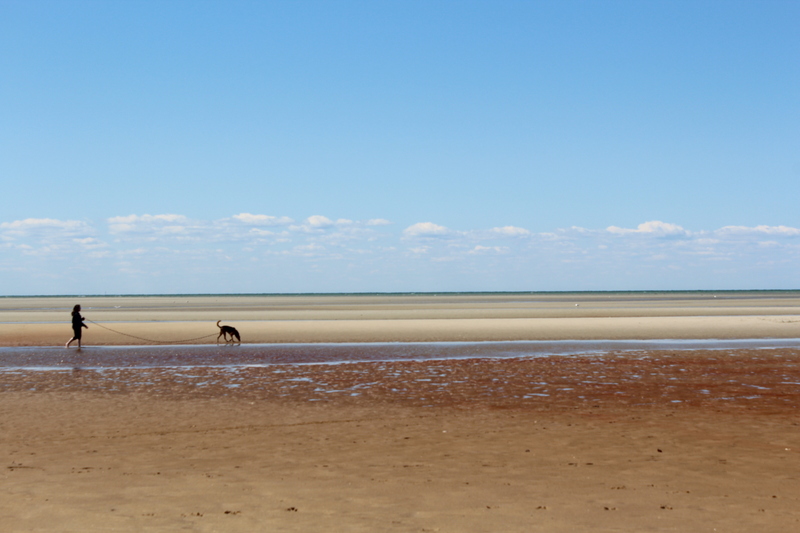 You know, besides lovely beaches, sweet little towns, some Kennedy’s and an influx of vacationers June thru September. We have lots of shantys and shacks. Even some pounds. Maybe a lean-to is out there as well! You know, The Crab Shack, The Lobster Pound, The Clam Shanty and such. They are everywhere as with many coastal areas selling all sorts of fried seafood. We usually only eat at one when the season first begins and we are still giddy with upcoming summer excitement. You know, before we become bleary eyed with all the traffic, having to weekly grocery shop with people in bathing suits. Sorry, I know you are on vacation and I want you to have a wonderful time here but please put on pants around food, thanks! But before that happens we are excited and get some fried clams and fried shrimp. They come in little cardboard boxes. There is a side of french fries and cole slaw and on top there two or three onion rings. They are usually soggy and leave me wanting more. 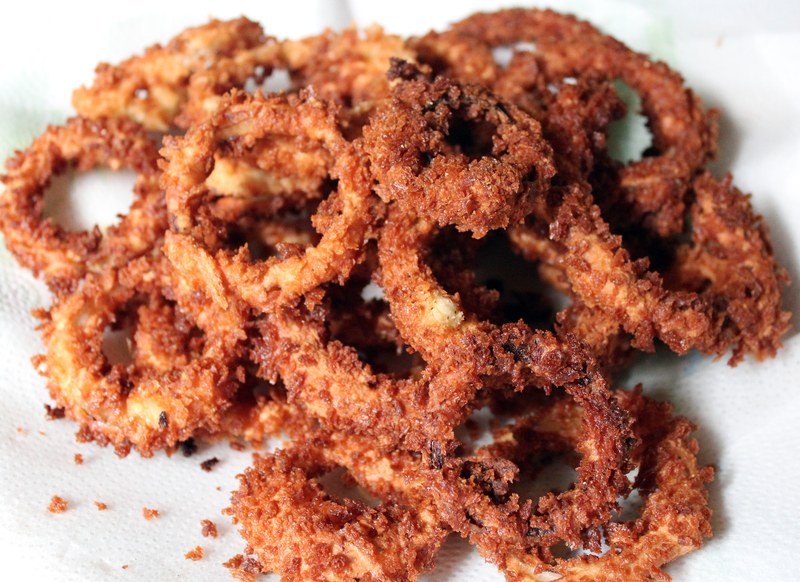 Better, crunchier onion rings. So like the fried seafood we eat for the rest of summer, I make our own and they are fantastic. You can make them at home too and you can eat them in your bathing suit. Not my business. I use a half a yellow onion and slice it up. Coat them in Flour, Baking Powder, Kosher Salt and Pepper. Add milk and egg to remaining flour mixture and whisk it up! 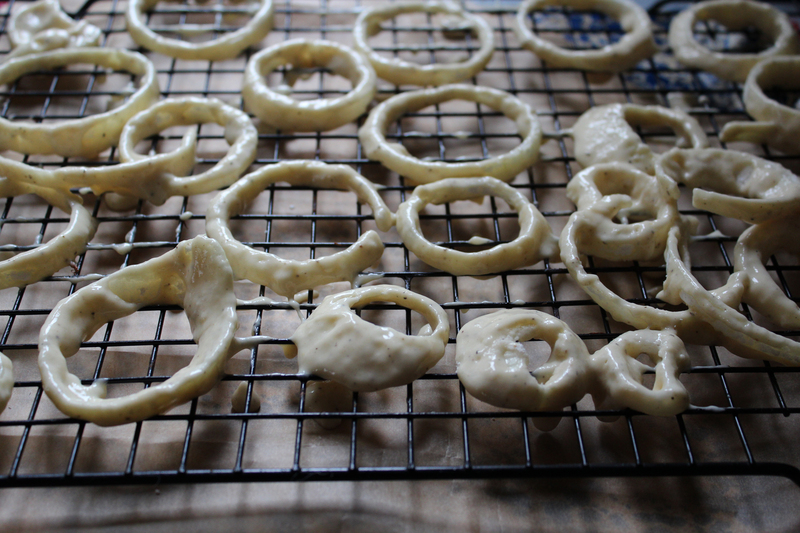 Drip battered rings on a rack. Coat them with panko and fry them up! In a cake pan stir together the flour, baking powder, salt and 1/4 teaspoon pepper. 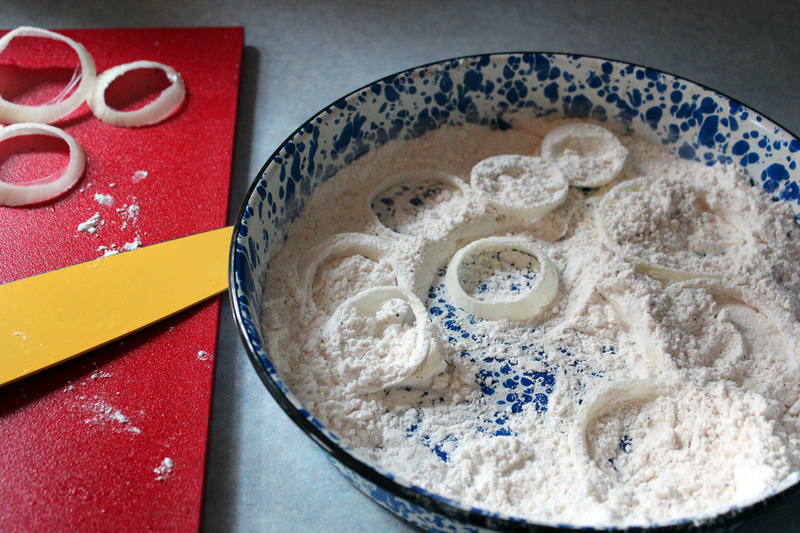 Coat onion slices into flour mixture and set aside. 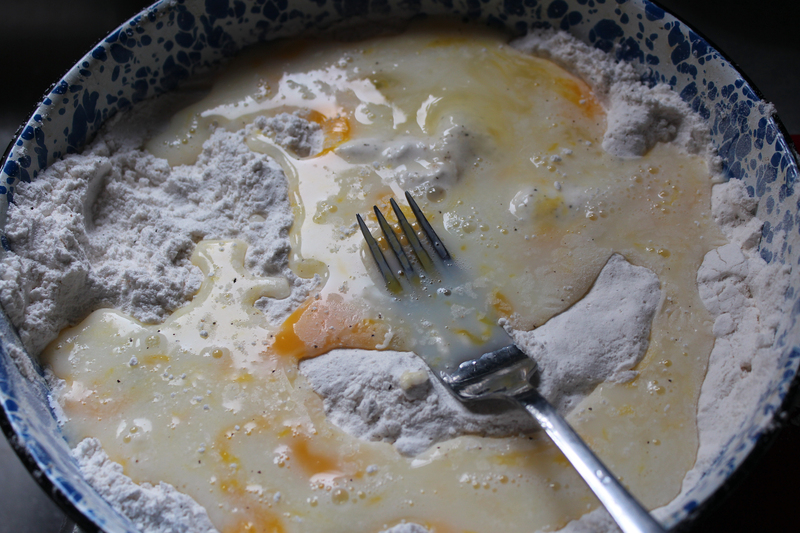 Whisk egg and milk into remaining flour mix. Add more milk if needed. Dip floured onions into mixture to coat and let excess drip off on a wire rack. Mix panko with remaining 1/4 teaspoon pepper. 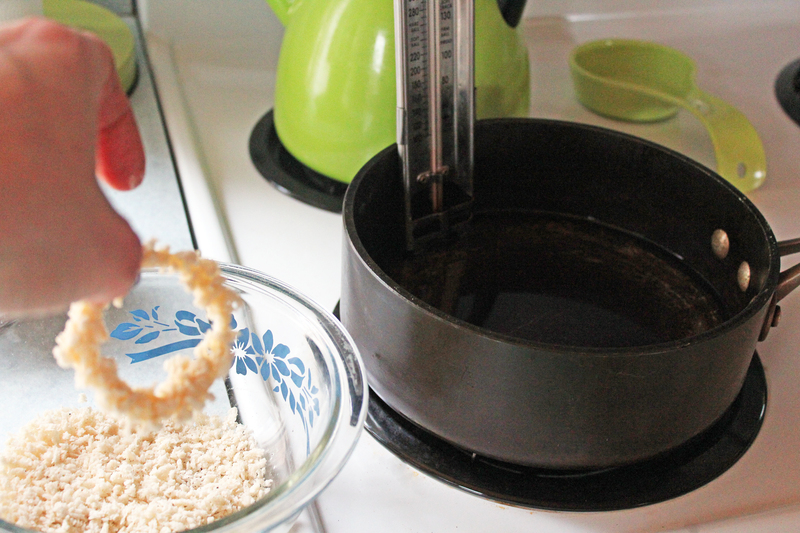 Coat the battered onions with panko, shake off excess crumbs and carefully place into heated oil. Only do 3 or 4 at a time. They only take about 2 minutes or until golden brown. Drain on paper towel, season with salt and enjoy! Those look so crispy and delicious – very impressive. 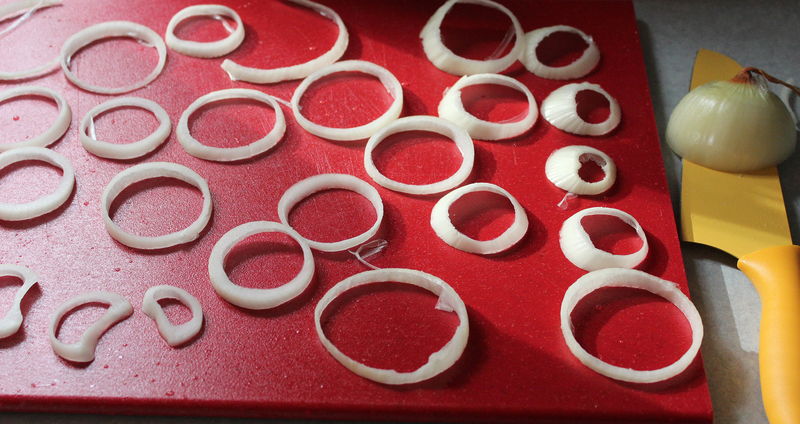 I’ve been asked to do onion rings for my blog – I can’t wait. Thank you, they are pretty good. Panko is the key for keeping them crispy. Oh, my, please send some my way!